Technology is what sets Angel® apart from the competition. Angel utilizes a proprietary platelet sensor and one button automation to prepare customized platelet-rich plasma formulations. Angel is the only PRP device that can deliver platelet concentrations up to 18x baseline, with adjustable leukocyte concentrations. 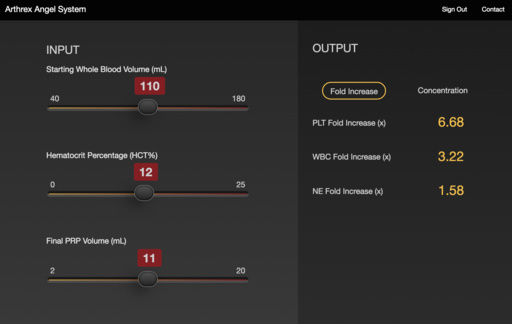 The Angel Calculator is designed to eliminate the need for the Angel concentration tables and has been constructed from over 8000 data points. 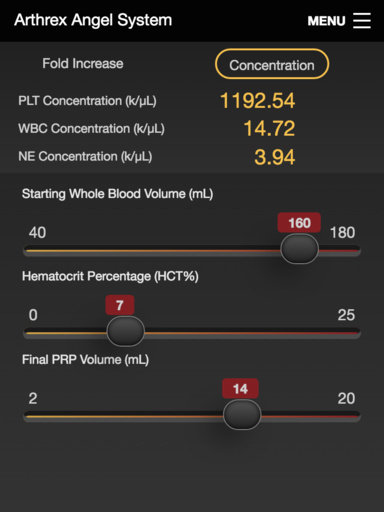 The app allows the user to see what the result of changing processing volume, HCT setting or final PRP volume has on cellular concentrations thereby allowing the user to create a customized PRP for their patient. Calculations shown are for example only. 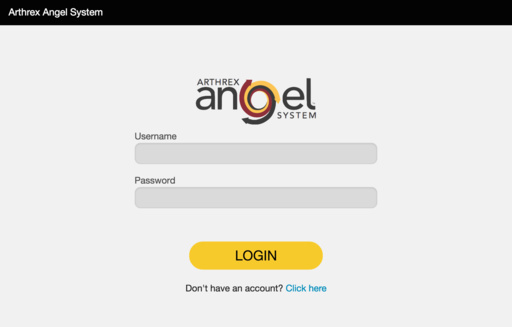 This app is not a substitute for the Angel® (cPRP) System's Operator's Manual and Instructions for Use.